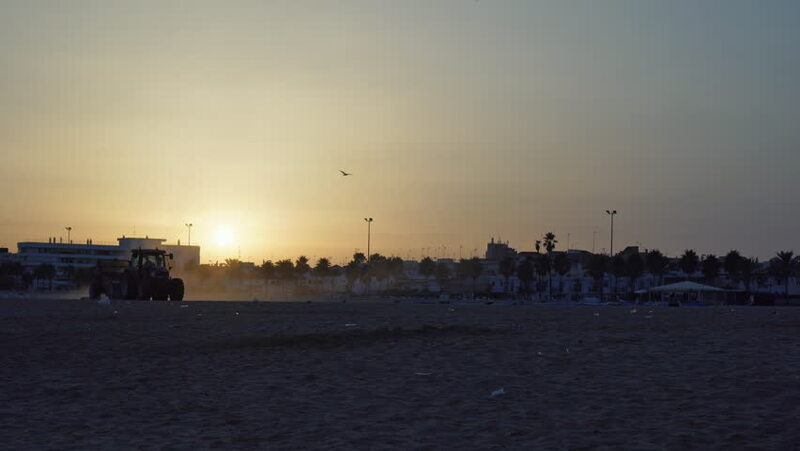 Cleaning and preparation of beach at sunrise. 4k00:10A drone shot by the beach while the sun is setting. Tourists are seen on the shoreline of the beach.